When you are making progress, it's not everyone that is laughing with you, complimenting you, playing with you and eating with you that truly loves you. That is the sad reality in our country, we should all be careful. 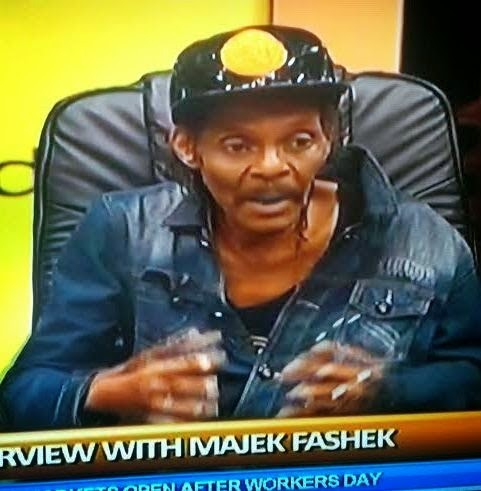 The "Rain Maker" and Reggae legend, Majek Fashek has a story to tell on this. He was on the Rubbin Minds show on ChannelsTV on Sunday and he opened up on what he actually passed through. He said he never used drug as being speculated by people but that he is a victim of family spiritual attack. How sad! "I never did drugs. My life was just affected by home trouble," Majek said, adding his problem is spiritual.